Generalmajor der Flieger, Commander 2nd Fallschirm Jäger Division. Hauptfriedhof Braunschweig, Field 40 A, grave 67. Kroh, Hans, born 13-05-1907 in Heidelberg, entered the Brandenburg-Havel Police School as a police cadet on 08-04-1926, age 18. On 01-10-1935 he became commander of the 2nd Company, General Goering Regiment (see Did you know) (see Hermann Goering) (see Peter Goering) (see Emmy Sonnemann) and (see Carin Fock) and transferred to the Luftwaffe on 01-04-1936. Kroh completed the parachutist-rifleman course and became a training director of the Stendal Parachute School. After a period of staff work, on 01-09-1940 he assumed command of I Battalion, 2nd Parachute Regiment. During the Battle of Crete (see Bruno Bräuer) Kroh took command of Battle Group Sturm, whose objective was Rethymnon airfield, after Oberst Alfred Sturm was taken prisoner by the British Forces. Sturm would die age 73, on 08-03-1973, in Detmold. Near Stavromenos and the oil refinery the paratroops held out against a vastly superior enemy force. Following the bitter ten-day struggle, which occupied a large portion of the British-Greek armed forces, the battle group was relieved by mountain infantry. 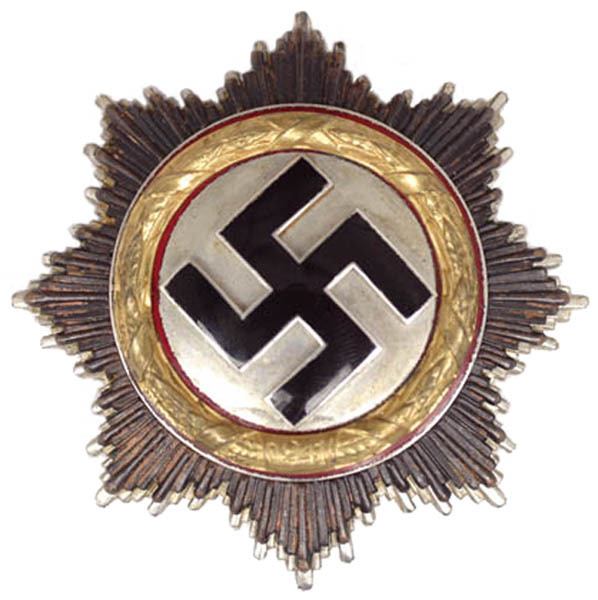 Kroh received the Knight’s Cross of the Iron Cross on 21-08-1941. In Africa Kroh served as Ia of the Ramcke Parachute Brigade Hermann Ramcke. It was Kroh here with General Kurt Student and Ramcke who initiated the brigade’s escape through enemy territory following the German withdrawal from El Alamein. In Russia on the Eastern front Kroh and his regiment fought near Novo Andreyevka and Novgorodka. Near Butor the regiment eliminated a Russian bridgehead on the Dniepr. Kroh also saw action at Kirovograd, where Russian attacks were repulsed. Hans Kroh commanded the 2nd Parachute Division in the Battle for Brest until he was captured in the St. Pierre district of the city on 18-09-1944. Hans Kroh joined the Bundeswehr on 01-06-1956 as Oberst. On 01-09-1957 he was promoted to Brigade General. One day later he took command of the 1st Luftlande-Division in Bruchsal. During the invasion of Crete on 20-05-1941, General Wilhelm Süssmann was killed, age 49 and General Sturm assumed command. The Allied forces on the island put up a stubborn defense and the troops of the 7th Flieger Division took heavy losses, with over 6.700 killed and wounded out of 22.000 men. The German battalion suffered also high casualties with many Fallschirmjäger being killed as they came down and struggled out of their harnesses, or whilst searching for weapons containers. Nevertheless, small groups of survivors went into action and carried out hit-and-run attacks on enemy positions or held their ground against local counterattacks. With the aid of the follow-on reinforcements, however, the Allies were forced to evacuate the island by 29 May. Death and burial ground of Kroh, Hans. Schulenburg a German diplomat who served as the last German ambassador to the Soviet Union before Operation Barbarossa. He began his diplomatic career before World War I, serving as consul and ambassador in several countries. After the failed July 20 plot (see Claus von Stauffenberg) in 1944, Schulenburg was accused of being a co-conspirator and subsequently executed, on 10-11-1944, age 68 in Plötsensee prison. Also buried here the composer of the song “Lilly Marleen” Norbert Schultze. Cemetery location of Kroh, Hans.